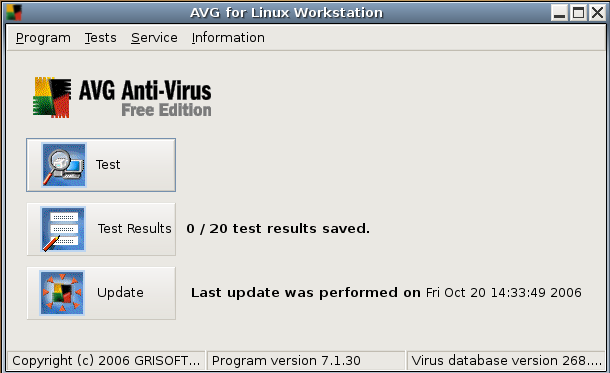 AVG Free Edition is the well-known antivirus protection tool. AVG Free is available free of charge to home users for the life of the product. Rapid virus database updates are available for the lifetime of the product, thereby providing the high level of detection capability that millions of users around the world trust to protect their computers. AVG Free is easy to use and will not slow your system down (low system resource requirements). Highlights include automatic update functionality, the AVG Resident Shield, which provides real-time protection as files are opened and programs are run, free Virus Database Updates for the lifetime of the product, and AVG Virus Vault for safe handling of infected files. Please enter two additional registration information. Copyright (c) 2006 GRISOFT, s.r.o. Now if you want to update virus database online click on update in the above screen you can see the antivirus updates are in progress and update finished successfully. This line contains an extra “dpkg -i” doesn’t it? thanks for you good catch and i have corrected this now. I have installed AVG as per your directions.But when I try to update, message pops up saying “Sorry you do have permission to execute AVG update”. this error will occur because of Update performed by a nonprivileged user. The simple solution is add the user into group avg. I haven’t created anyother user account apart from my own.And in the properties for my account under ‘user privileges’, I have selected the ‘execute system administration tasks’ option. So,this doesn’t make me a non-privileged user, does it? Under administration, Users & groups, groups, I couldn’t find any group named avg. I found 2 files with names avg.desktop & avg.desktop~ & similarly for avgupdate.desktop. So, I sudo rm’d them all & created a new avg.desktop as per your yesterday’s post & avgupdate.desktop as per your Oct 22nd article. But it still doesn’t allow me to update. Hope I am not bugging you. I just found that I have 2 icons for AVG , one under System tools menu & the other under Accessories. In all the prior posts, I was running the one under Accessories. But now I ran the other one & it updated successfully. So, my pblm is solved.Thank you. But how do I remove the entry under Accessories? Pls help me..Avg can’t update an error sign apear “avgupdate is already running” but it’s not? How will I fix it? Now I’ve got a problem Once i try to scan it has an error! Says it can’t open file. Works Perfect with AVG 7.1 (newer since write up) just fill in the correct file name. Thanks so much. i am a Linux newb but managed to follow you instructions very easily. i am running Ubuntu Server 6.10, all command line. 🙂 Most efficient OS i have run yet, boot up is seconds 🙂 Can’t wait to finish my web server. When click the update botton, the following message comes up. Reason: Can not create file ‘/opt/grisoft/avg7/var/run/avgupdate.pid’. all AVG files are owned by an avg user and a avg group. Only the avg user and users in the avg group are allowed to run update process and create files. All you need is to add an user who will run update process to the avg group. Thank you very much alemarze. I filally got the update to work and I was able to do it using the ‘Users and Groups’ GUI under administration. i want to know the avg antivirus company name and sales number so i can install it.Hope someone can help me.thank you!!! I am using Ubuntu 6.10 64(bit), I installed AVG using the –force-architecture option. I was able to install and register AVG but I can’t create a shortcut to for the GUI. When I type sudo gedit /usr/share/applications/avg.desktop there is no avg.desktop to be found. So I ran a search and the only files I have pertaining to AVG are in the usr/bin folder. Just so you know I am using Fluxbox and would like to add a shortcut in fluxbox-menu. Was wondering if you could help me with a fluxbox-menu solution but if not could you tell me where the avg.desktop files went, cause I don’t have them. Thanks. how to download and find updeter avg in internet? When I try to update, I get an error message saying that avgupdate.pid could not be created. I am a member of the avg group and the error persists. The file avgupdate.pid does not exist on my computer. Is there a way to manually recreate a valid avgupdate.pid file? 2. at the website i found 3 files. Wich one is the file that i’need for Debian? The requested URL /softw/70free/setup/avg71flm-r30-a0791.i386.rpm was not found on this server. Very new to Linux is there something I need to set up before I download AVG? Thankyou for providing me the advanced and super antivirus freely. There is ability to download a DEB file from AVG web page (2007-03-24). So do I need do download RPM and converter it? If not, where can I find a serial number? It probably is inside a DEB file (like in RPM), but how do I get it from there? I also want to ask if installation process using DEB from AVGs web page is diffrent or the same as You descripe above (exept convertering RPM into DEB)? sir!! this is my problem “Update process failed.. I am running Kubuntu 8.04. When I scan w AVG, I get a large number of warning messages that certain files are can not be opened and were not scanned. Is this normal or is there a way to adjust the settings to scan those files? If you are having trouble with updates or scanning all files, try running from terminal. This will open avg with permissions. Downloaded the deb for AVG Free 7.5 from their site and installed it on my Hardy Heron system. Made a few mistakes in the process-incliding registration & creating GUI. While searching for a way out, found your site. Followed the steps outlined. I got over the registration problem somewhere down the line – but cannot figure it out though. Then went through your process of making AVG launcher and Update launcher. Also had to rm the updater process and redo it. Still refused to update, saying I have no permission to update. Remembered an error I made in the AVG launcher creation (forgot the [Desktop Entry]) so edited the AVG launcher process. AND NOW it is back to “your licence info is wrong”. Where do I go from here? I am about 15 days old on Ubuntu. Do I remove AVG & try all over again? I am unsure of the process. Could you help please. 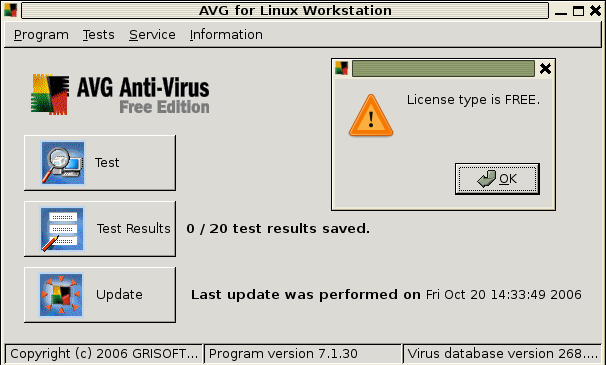 Thanks AVG now working again after upgrade to Ibex. For ubuntu users: Click system, then administration, then users and groups. You should see avg there. Highlight it, click on unlock, put in your password when asked, then you should be able to do everything you want in AVG. why would you want to scann ubuntu for viruses when its a virus free environment? I understand 100 % of what you are saying . I’m downloading bit difender.. It is a file “.run” is it a installation package for ubuntu? and i hava another doubt that they can remove “windows” virus also? So WHERE do I look for it? 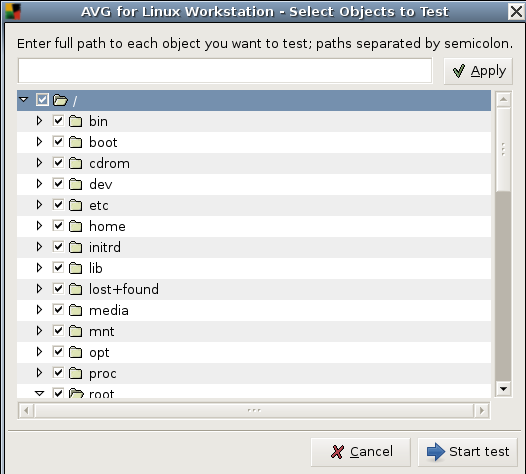 I have some technical problem with avg in redhat. i was installed in avg.rpm in redhat. 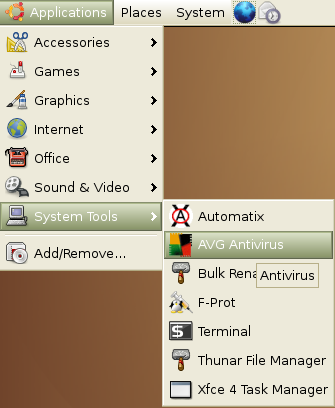 avg desktop icon not installed in system tool bar as u r provided the guide.